It’s amazing the difference a well-designed resume can make. And when you’re looking to land your first adult job, making you and your application stand out could be the difference between a yes and a no. 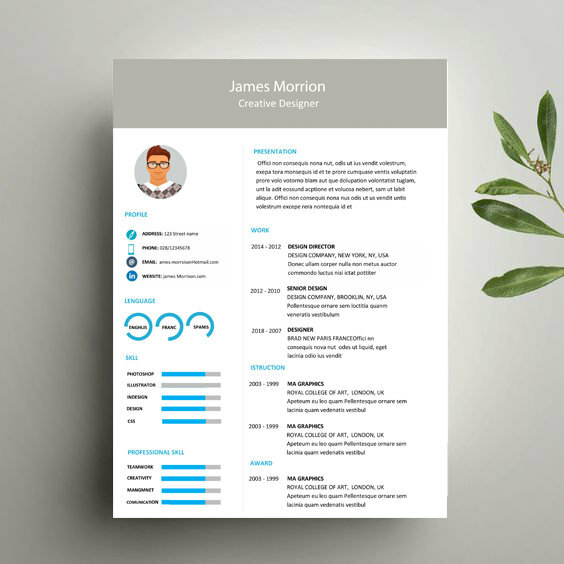 Here are a few resume designs to inspire your CV. 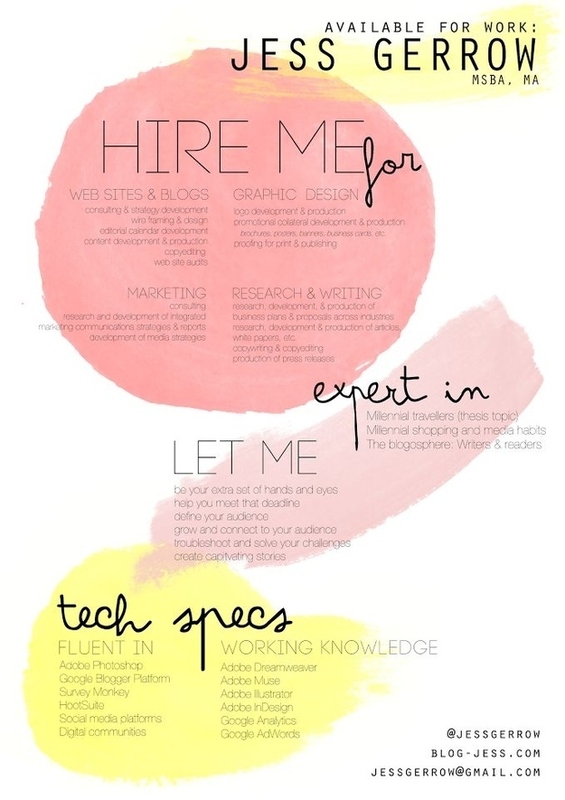 This neutral resume is perfect for anyone wanting to add some flair without too much fuss. Great for more formal applications, the dark colors and sleek design show you’re creative, but also serious. Get the design here. Ideal for designers, creatives, or artists, this design really sends a message. 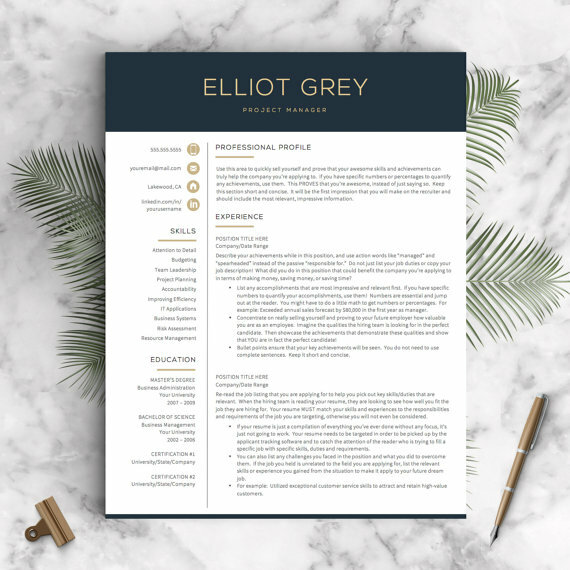 This colorful CV will stand out in stacks of applications, meaning you’ll stand out among the rest. Get inspiration here. This long-form, infographic-style resume is great for those with plenty of technical skills and data to share. Great for design or business jobs, this neutral design with pops of blue will prove your creativity to a potential boss. Find this design here. 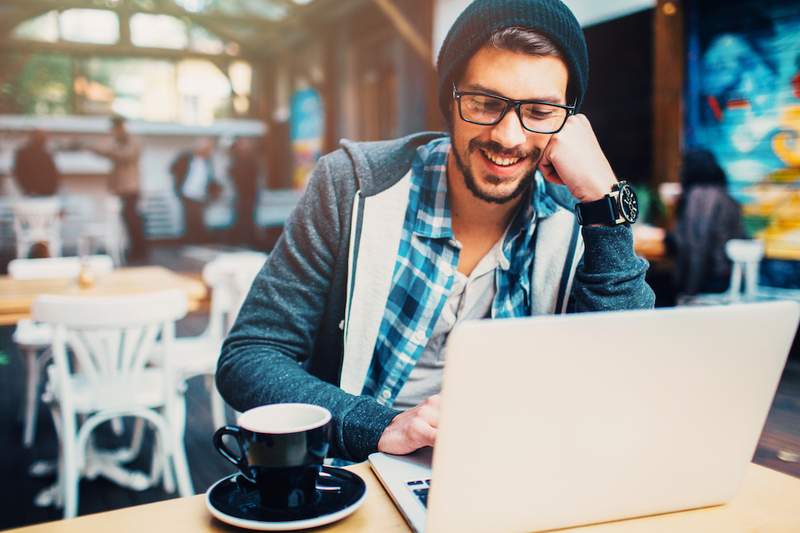 This resume is an easy drag-and-drop product, meaning you can easily add your information to make it your own. 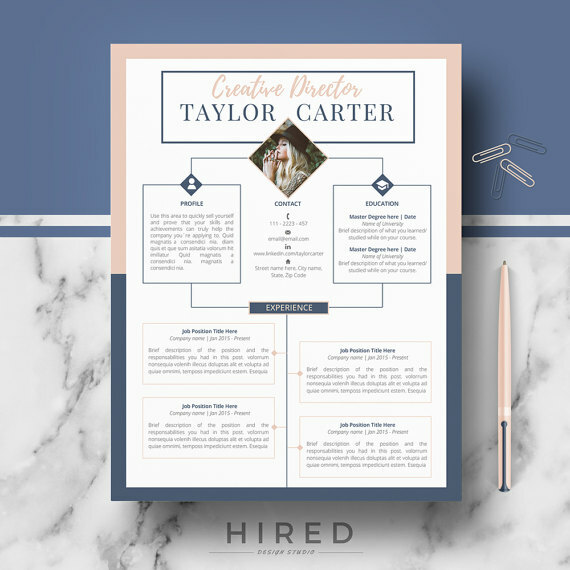 With soft colors and clear lines, this will definitely speak to a creative looking to land their dream job. Get this exact resume here. 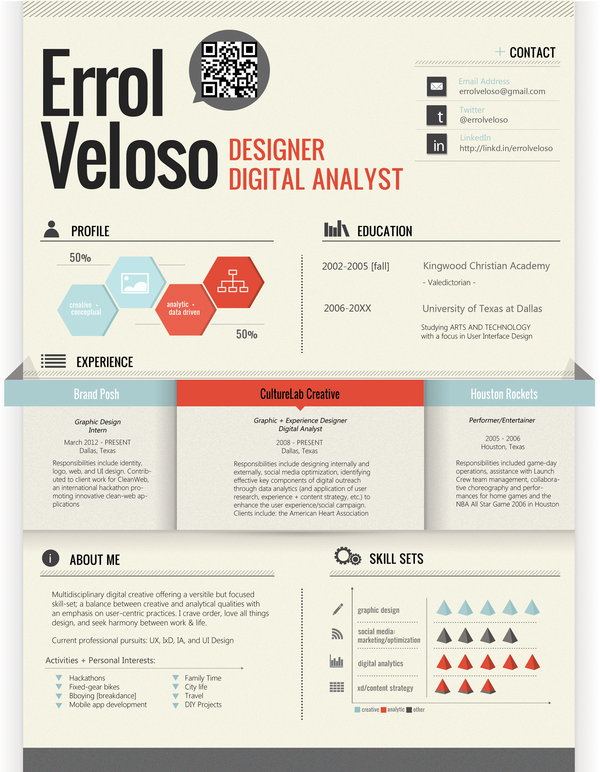 For the aspiring illustrator, this resume will let you display your layout and character skills. 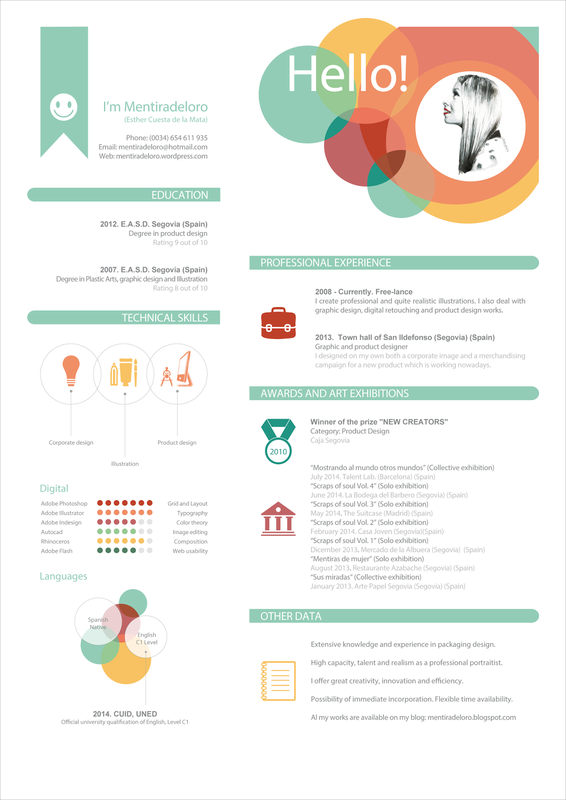 With a cute cartoon of yourself and infographic elements, this playful and modern resume is made for new grads. Get inspiration here. Want to make a bold impression on a potential employer? This is the resume to do it. 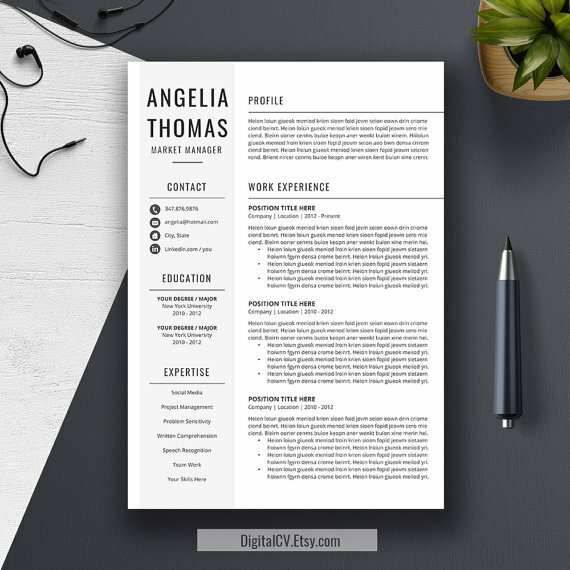 With colorful infographics and even a QR code for more information, this resume is ideal for tech types looking to prove their creativity. Find more inspiration here. This bright and clean resume will clearly state your fun, bubbly personality. With clever illustrations and a lively color scheme, this resume will speak volumes for a potentially creative and innovative job. Find inspiration for resumes like this here.